Top economic experts predict substantial growth in the US economy for 2015. New jobs will rise at about three hundred thousand per month leading to increased wages and more spending. That, in turn will lead to increased real estate values. In addition, interest rates will remain historically low, at least for the first half of the year. After that, they are expected to rise at a very slow rate to send a clear message that the Government is not going to do anything drastic that might hurt the success of the financial recovery. You should expect to get more business. You should expect to make more money. You should also expect to see changes on the applications your new hires and customers submit. More applicants will be coming off long periods of financial instability than ever before. Because of the lower unemployment rate, there will be fewer applicants with the qualifications you have expected for the past few years. Customers will apply for credit who would be rejected last year but could be good now. You need to consider your criteria carefully to take advantage of the anticipated good business climate without putting yourself at risk. Here are a few ideas that should help you make good decisions on applicants with problematic credit histories. A stable job is always the best indication of future financial stability, but some applicants could not obtain employment in their fields of expertise during the recession. If the applicant is a potential employee, check for other employment during this time. People who take low paying jobs if they cannot find work in their field show stability and determination. If you check employment on tenants or other applicants you may find yourself with no job history to evaluate. In this case, you might be willing to accept any verified employment, even if it is recent. Keep in mind that most people are fired from jobs within the first few months. If a potential employee’s credit is below your acceptance standards, consider what the effect of his salary would have on his ability to pay bills. If the prospect is a consumer, use the same logic with their current employment. If you are a landlord and use eviction reports, you might want to forgive a previous eviction if caused by documented loss of income providing new income has been secured. 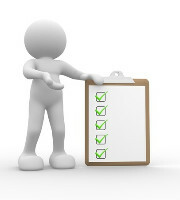 When checking employment, you should do a careful hands on employment evaluation. Only by speaking to Human Resources can you be relatively certain of the salary figures. Some applicants exaggerate income while others create totally fictitious information on their computers. Good things will be happening to business this year. There are many things you should do so you are part of the success story but evaluating your credit criteria is going to be a key factor in taking full advantage of the returning economy. Many people had hard financial situations over the past eight years and a large number of them are doing well now. A few small changes in credit evaluation can have you doing quite well too. Don’t let good money go elsewhere. Review credit evaluation now.